1. Tell us a little bit about yourself: My name is Larry Day and my wife, Kay and I live in Clear Lake, Iowa. 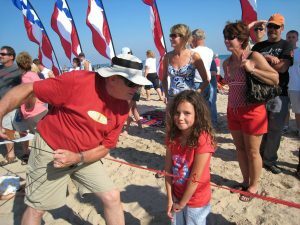 16 years ago, we started the Color the Wind Kite Festival. It’s held annually on the third Saturday in February and our flying field is the frozen lake! This has grown to be one of the largest winter kite festivals in the Midwest and has been featured on Iowa Outdoors on Iowa Public TV, in Midwest Living Magazine, the Iowan Magazine, Disney’s Family Fun Magazine, AAA Living (Iowa/Minnesota edition). We’ll also be the subject of an article in the Fall edition of Senior Lifestyle Advantage Magazine. Color the Wind 2018 will be covered by CBS Sunday Morning TV show. 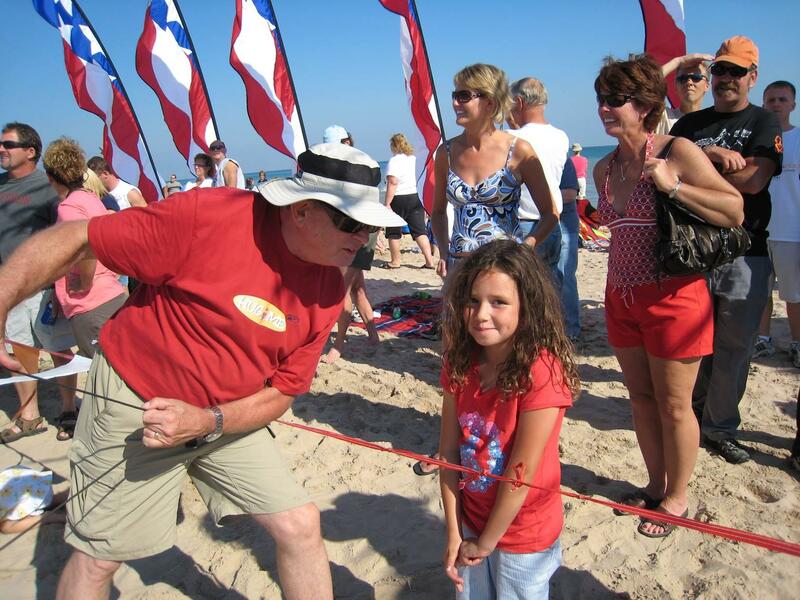 Our purpose is the promote the sport of kiting and to provide good, clean, free family entertainment. We love to make people smile! 2. Why did you join the AKA? It’s important to be part of an association with shared goals and to network with and be informed about kite events all over the world. The insurance subsidy provided by the AKA is of great benefit to all who sponsor sanctioned events! 3. What is your favorite kite to fly? My 60′ blue whale and my signature kite, “Buddy” the Teddy Bear. But I love flying my Revolution kites. 5. If you could fly with anyone dead or alive, who would it be, and what would you fly? Larry: I would fly with my wife Kay. I have lots of friends that I enjoy flying kites with, but Kay (my spouse) would be at the top of the list. She is my best friend who has supported my hobby in a big way for 18 years. I would fly Buddy the Peter Lynn 40’ Teddy Bear wearing his red Hug Me T-shirt. 7. What is one thing you wish more people knew about kite flying? Kite flying makes me feel at peace, it makes me smile and I get to touch a lot of people. I do wish everyone who flies kites was more aware of the safety issues. 8. What is the best color combination for a kite? Shades of blue, purple and black. Or Teal, purple, black, blue, and white in a large flow form. Like a Sutton 252. 9. You’re a new addition to the crayon box. What color would you be and why? Teal…..It’s great in combination with black and gray.